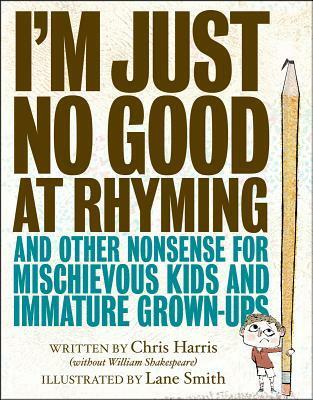 This week I read I'm Just No Good at Rhyming and Other Nonsense for Mischievous Kids and Immature Grown-ups by Chris Harris and Illustrated by Lane Smith. On Page 56: So this is from the page numbered 56, but it's not the 'real' page 56 cause this book has some issues with the page numbering. Hilarious and I think I'm going to buy it, because it's one I want to pick up again and again.